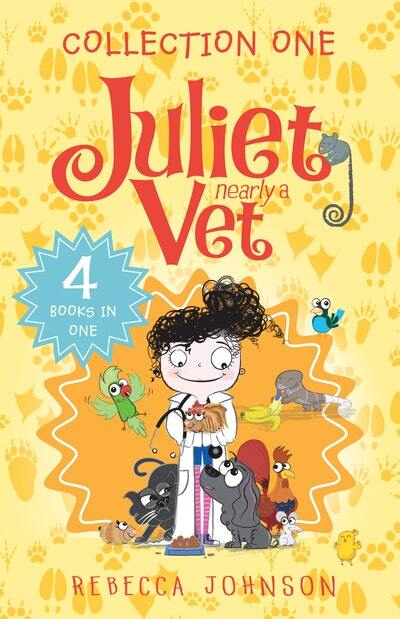 4 books in 1 - a fantastic collection for Juliet, Nearly a Vet stories. Hi! I'm Juliet. I'm ten years old. And I'm nearly a vet! My best friend Chelsea and I love animals. I have a dog, Curly, and two guinea pigs, but we need more pets if I'm going to learn to be a vet. Join Juliet on her exciting adventures as a trainee vet in this wonderful story collection that includes pet sleepovers, pony shows, helping baby farm animals being born in Spring and caring for wildlife injured in bushfires. Love Juliet, Nearly a Vet collection 1? Subscribe to Read More to find out about similar books.